Cultural Compulsive Disorder: Ninja Groups, Spider Man, & Dr. Jackstraw... Er, Wait, WTF??? 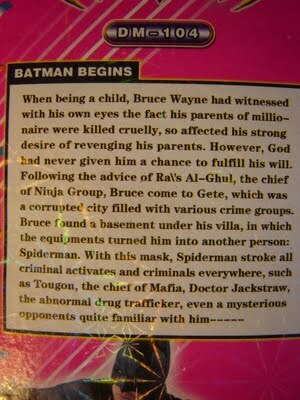 Ninja Groups, Spider Man, & Dr. Jackstraw... Er, Wait, WTF??? Ill take 12 copies of this version of the movie please. Right? This sounds amazing... I say somewhere in the future when they want to re-visit the Batman franchise this should be the blueprint for the re-boot!!! !